Tommy Kaye has been signed up again to emcee the Melbourne Cup Spring Carnival luncheon at the major Adelaide venue, Racquets SA. With a record number attending, Tommy Kaye will be judging the best hats, giving away prizes and generally having fun with hundreds of race fans.. Tommy Kaye, do you need a good MC? It's on, the 2010 Fringe is on and so is "Rythym & Blues Revue" with one of the tightest bands around, "Let it Roll" Check out the Rob Roy Hotel on the 6th & 7th March! Only hours to go and the stadium will rock! Tommy Kaye with a floor of dancers, all jiving to the tunes spun by Mr DJ - Tommy Kaye. ---let's hope the team does as well!!! The season finale for the Adelaide 36'ers will be held at the Distinctive Homes Dome on Feb 13th. 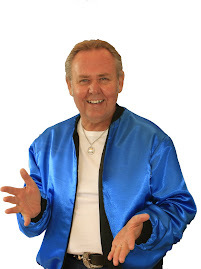 A Rock'n'Roll mid game entertainment is planned with dancers and lots of muscle cars in centre court with Adelaide's favourite MC, Tommy Kaye playing great Rock'n'Roll tunes and keeping the crowd entertained. See you there? the sponsor for "Six O'Clock Rock" Eastside Automotive will be there, Andy Sutton will be driving at least two of his cars onto centre court! How will he do it? You will have to be there to see that!!!!! Former Masters Apprentices member Peter Tilbrook has just released a new CD, "Let's Go To The Movies". It will be officially launched at the classic retro look, Piccadilly Theatre in North Adelaide March 6th 2010. 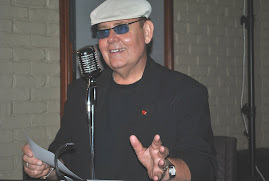 Tommy Kaye will host the evening which starts at 6:30pm. Tickets on sale now from, www.thepartycats.com.au or from The Bag Doctor (Marion Rd) ph 8293 08099. After the launch, the Party Cats will be on stage to perform just some of the songs from the CD then a special screening, in 3D, of the new Johnny Depp film, "Alice In Wonderland". The 2010 Fringe is almost here. I will be part of a great showcase of music, history and legendary performers with local band, "Let It Roll" Just google the Adelaide Fringe and then check out "Let It Roll" at the Rob Roy Hotel in the city. See you there! Hi and welcome to 2010! I hope you arrived into this new decade in style! I did, we saw in the new year with friends and on-air! South Australia has wonderful loyal listeners and these people especially those who (wisely) chose not to go out on New Years Eve, had four hours of great RnR to see in this great new year. From us to you, every blessing and richness! 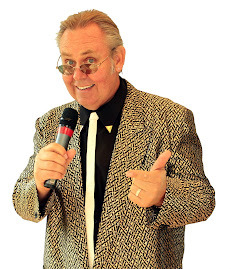 Now, if you are looking at a party or want to put on a show for hundreds, Tommy Kaye is the compere for you! Talk soon! !